With Easter just passed, we have all seen the Easter Bunny taking up residence at our local shopping mall. We went and got pictures with the Easter Bunny as kids and now we take our kids to do the same thing today. 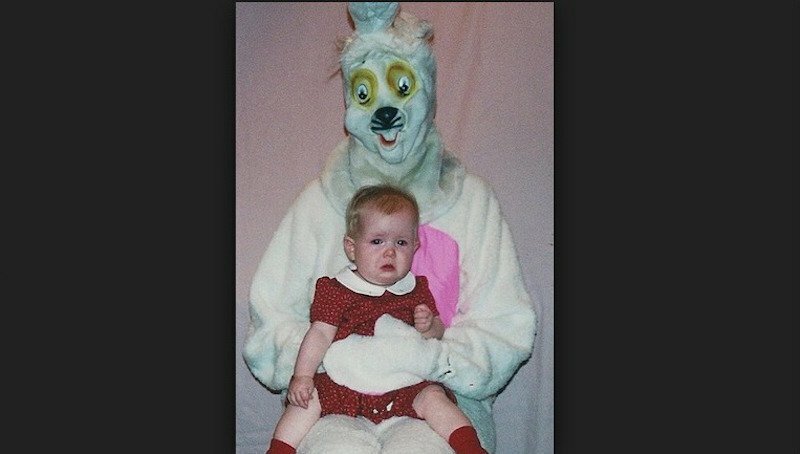 Despite wanting that basket from them and all the candy inside of it, some kids seem terrified of the Easter Bunny and we found some photos justifying their fears! 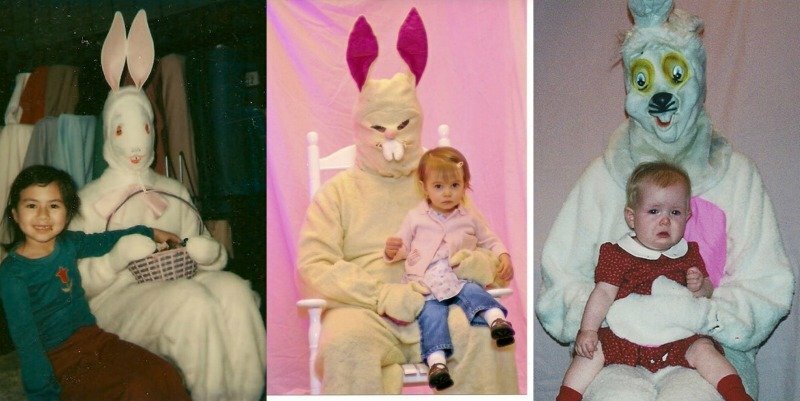 Check out these Easter Bunnies that are so creepy, you wouldn’t let your kid sit on their laps. We would not be happy either, as that bunny looks creepy. The eyes and their attempt at making whiskers are just terrible. While most ears on bunnies point upwards, this bunny went with the sideways look. 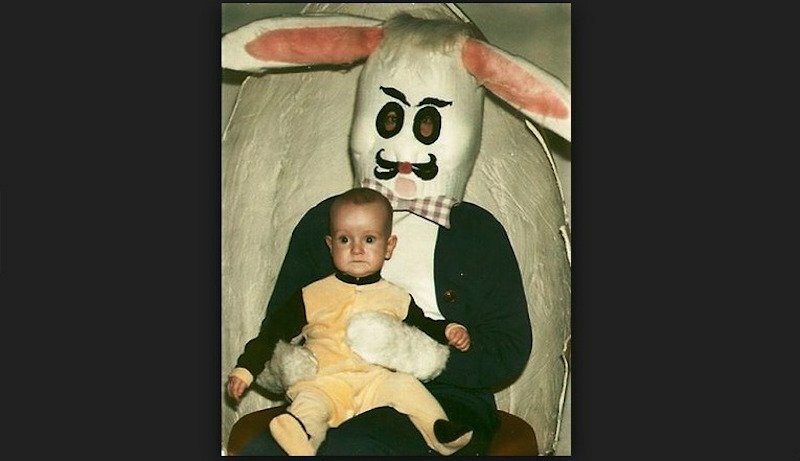 Add in those creepy eyebrows and we have a winner here for Creepiest Easter Bunny of the Year!